Urban development and industrialization hasn’t been great for bees — they have to fly longer distances, which has played a role in their declines, according to the initiative City Bees. 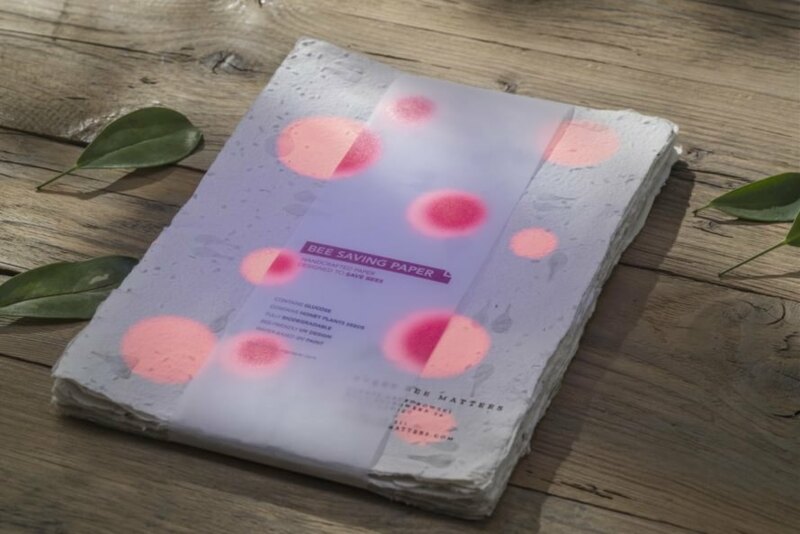 The initiative’s Bee Saving Paper offers a juicy solution: biodegradable paper that functions like a bee energy drink. Out of 469 bee species in Poland, 222 are on the verge of extinction, and the sad story is similar around the world. City Bees teamed up with Saatchi & Saatchi IS Warsaw, Manufaktura Papieru Czerpanego w Kobyłce, paper craftsmen and entomology experts to create Bee Saving Paper, a bee-friendly product with many uses: bags, coffee cup sleeves, picnic plates and more. How does this product work? 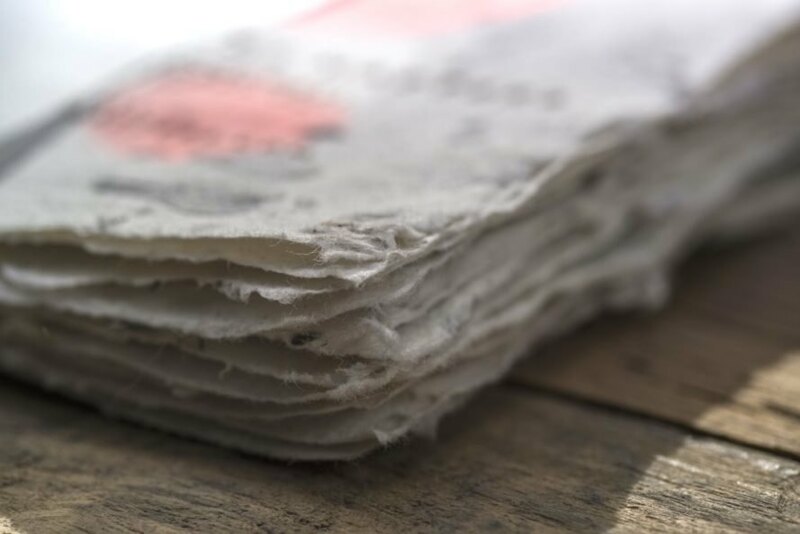 It’s created with what the initiative called an energy-rich glucose that won’t make the paper sticky but is appealing for the buzzing insects. Seeds from the Lacy Phacelia plant are also incorporated in the paper. Finally, a water-based UV paint helps attract bees to the paper; the paint is applied in a pattern of what bees see as red circles, similar to how they view meadows. The designers hope bees consume the glucose and that the seeds will grow into flowers. Bee Saving Paper has been tested in the field by a beekeeper, the team said, and they’re ready to work with large brands and mass-produce the paper. You can find out more on their website. Bee Saving Paper is made with glucose and plant seeds. Bee Saving Paper could offer some help for struggling bees. Bee Saving Paper is biodegradable. The team is ready to partner with brands and mass-produce the paper.